A window on the right informs you about your subscription status. You will not lose any data; the only change is that you will lose the ability to view comparison reports and some other useful features but your data will always remain available under your username and password. 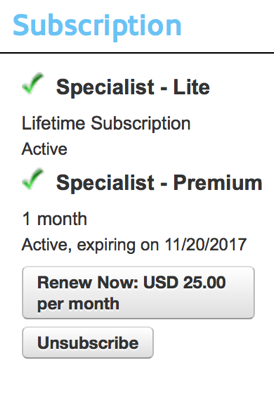 Should you wish to upgrade to Premium again in the future you can do so at any time convenient to you.